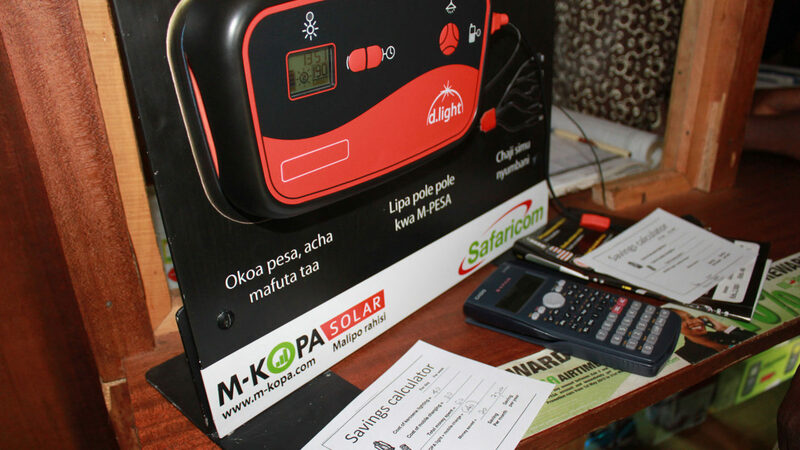 M-KOPA partnered with Eseye and Safaricom to deliver solar-powered lighting and mobile charging to rural Kenyans on a pay-as-you-go basis, with payment via M-PESA. M-KOPA needed a best-in-class M2M service provider to successfully launch this unique product in East Africa. M-KOPA is a mobile technology company based in Nairobi, Kenya. The M-KOPA team includes founders and senior management from the Vodafone and Safaricom award- winning M-PESA service. It was formed to make accessible a range of life changing products. Even before forming the company the M-KOPA team realised that there were going to be considerable challenges in designing and managing such a product, so they sought out M2M experts with a reputation for delivering complex solutions. The requirements to integrate with M-PESA and the need to exploit the distribution channel dictated that a Safaricom enabled product was a requirement. Eseye worked with the teams to design the product, run the back-office data processing and integrate into the Safaricom network. Eseye is the only dedicated M2M service provider to integrate directly with the Safaricom network. The product presents unique challenges as it has to cope with the vast area covered by the network, while ensuring a balance between the customer experience and protecting the asset owned by M-KOPA. Due to the high volume of devices it was important to closely couple the Eseye application framework and the M-KOPA back office systems. To make this easy M-KOPA chose to co- locate their servers in one of the data centres Eseye uses for its enterpriseM2M+ platform. The Eseye M2M platform manages connectivity from the SIM directly to the application server. Quite simply, it is an inspiration and absolute pleasure to work on innovative products that make a real difference to peoples’ lives.